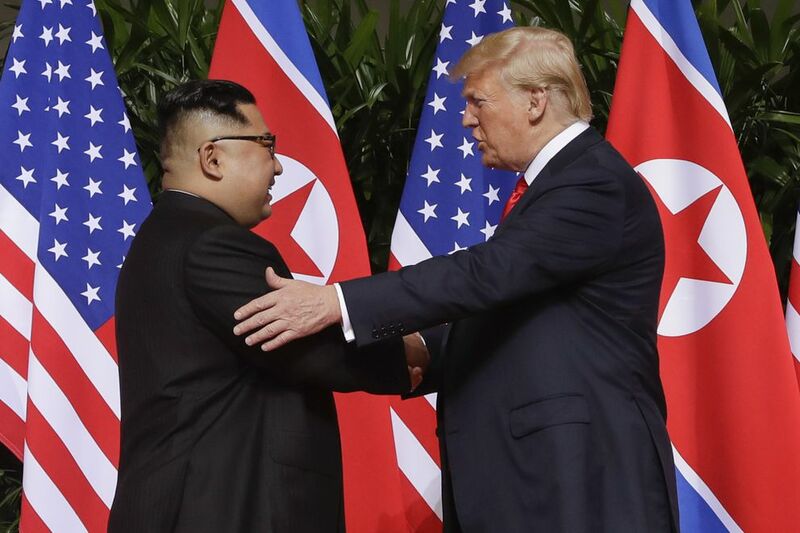 WASHINGTON — President Donald Trump will hold a second summit with North Korean leader Kim Jong Un to try to broker a deal to coax the North to give up its nuclear program, the White House announced Friday. News of a second meeting with the reclusive North Korean leader came after Trump met at the White House for 90 minutes with a North Korean envoy, Kim Yong Chol, who had traveled to Washington to discuss denuclearization talks. Trump and Kim Jong Un are to meet near the end of February. "The president looks forward to meeting with Chairman Kim at a place to be announced at a later date," said White House press secretary Sarah Huckabee Sanders. Trump had his first, historic meeting with Kim Jong Un in June in Singapore, but little tangible progress has been made on a vague denuclearization agreement crafted at that summit. No details have been released about how denuclearization could occur.